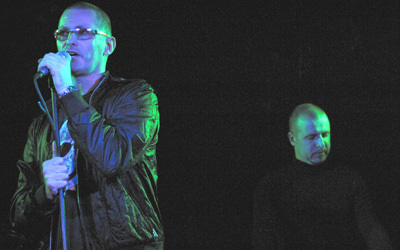 Aidan Casserly and Lar Kiernan from the band Empire State Human started a new band to output their more melodic music in 2007. Famed for their many collaborations this duo penned a number of memorable hits. The band officially called it quits with the release of the album �Monster� in 2010 but has returned at times since then. Track: "Ether (feat. Synthetik FM)"
Track: "Blue Heart For Christmas"
Track: "Pity Party (Daybehaviour Remix)"